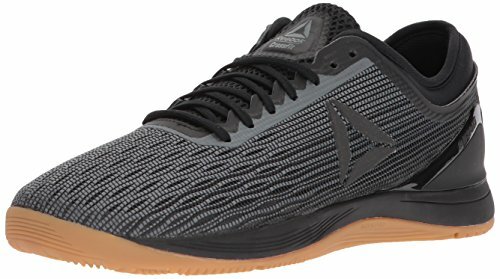 Are you looking for a top-quality pair of weightlifting shoes that are ideal for CrossFit workouts heavy on the lifting? Then you might want to consider the Inov-8 Fastlift 335. Read our buying guide packed with information to help you decide if it’s the right pair of workout shoes for you. Included in CrossFit’s daily workouts are numerous strength and weightlifting exercises. Not only will you have to handle heavy weights, you will also have to use them. With repetitions that include back squats, overhead presses ,and even dead lifts, you quickly learn why it is called the CrossFit Total Workout. To complete this exercise without serious injury, you need the right equipment, and this includes your shoes. 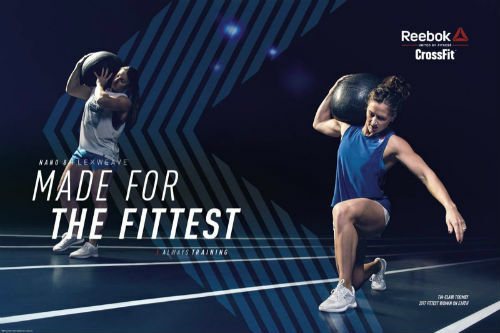 To help you realize your goal of completing this intensive workout, we found the shoes you need to do this workout and so much more in the exciting world of CrossFit. 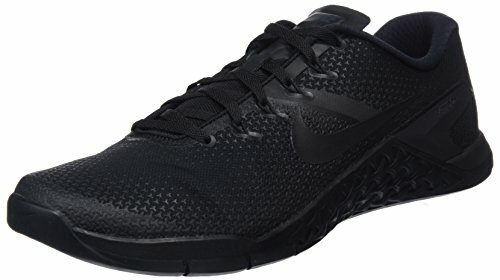 Durable mesh and synthetic construction while still being lightweight enough for comfortable off-road running. Fastlift outer sole for an added boost during squats and for finish-line sprints. Meta-Flex technology in the front of the shoe, which bends and supports your foot’s natural movement. Added rubber structure in the heel, which gives you additional support and lifting power during all of your weight training workouts. One of the main advantages of these great cross-training shoes is its innovative heel design. With the added support and power, you can start to conquer difficult overhead presses and back squats. 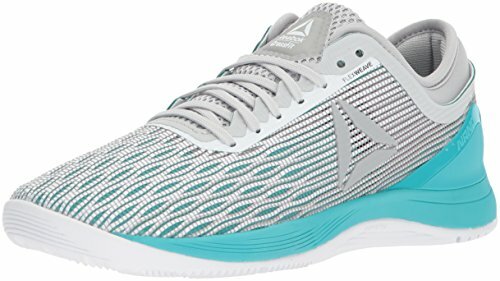 The shoe’s lightweight design makes it the perfect cross-trainer to use when you switch over to a full meter run, and they are even designed to get you through the exhausting, Olympic-designed Grace workout. 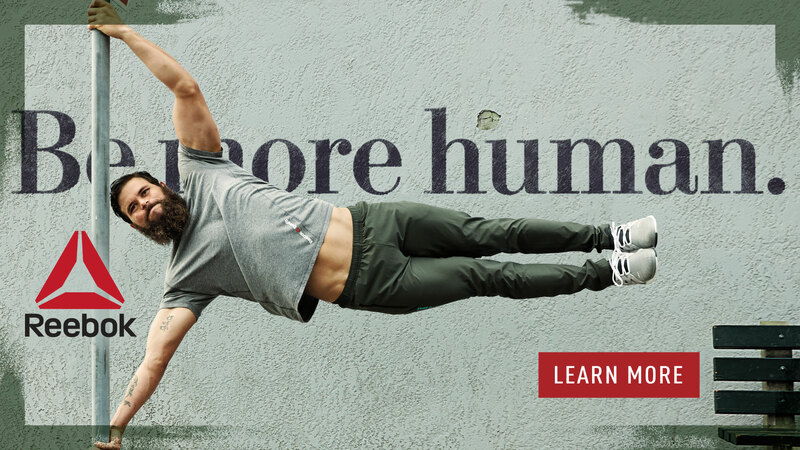 With these men’s cross-training shoes from Inov-8, you’ll get the added advantage of speed, flexibility, power, and strength, all of which you will need in the competitive world of CrossFit. 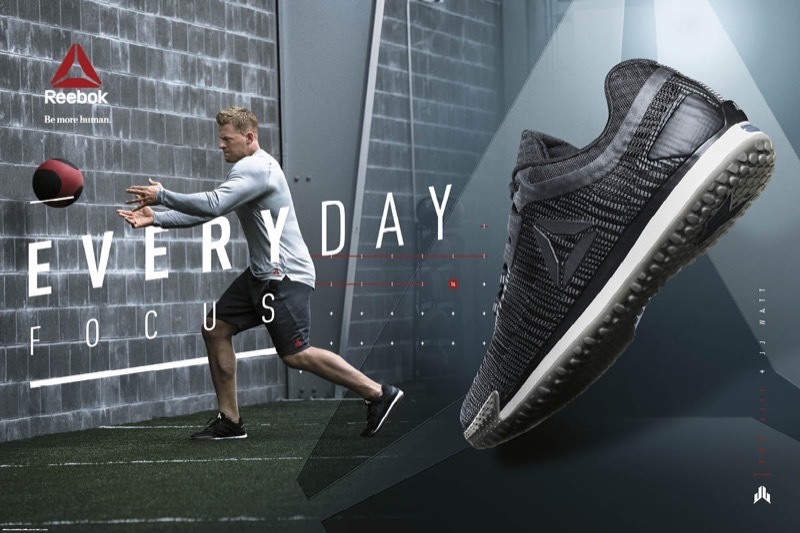 With so many of the workouts designed to test and challenge you, these shoes give you all of the power and support you need. Complete all of your reps and consistently score higher in all of the CrossFit competitions with the unique advantages you’ll only get with Inov-8’s cross-training shoes. This British company is located in the North Pennines, an area in England known for its extensive forests, meadows ,and trails. With this landscape in mind, the company began manufacturing athletic shoes that were durable and still supportive and comfortable. 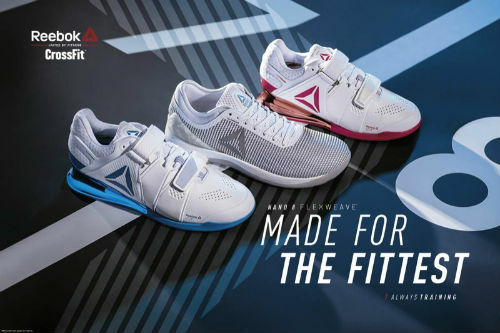 Since 2003, the company has been designing innovative footwear for both professional and recreational athletes. 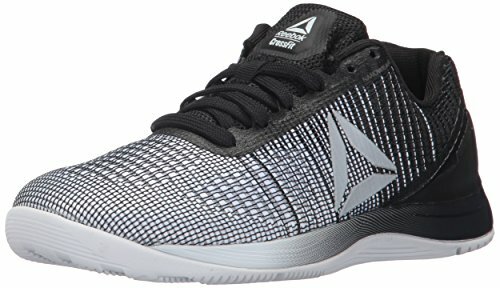 Are They Ideal for CrossFit Workouts? Take a look around your gym during your next WOD, or ask your trainer. You’ll probably notice a ton of different kinds of shoes. There’s everything from weightlifting shoes like these ones from Inov-8 to barefoot style shoes. 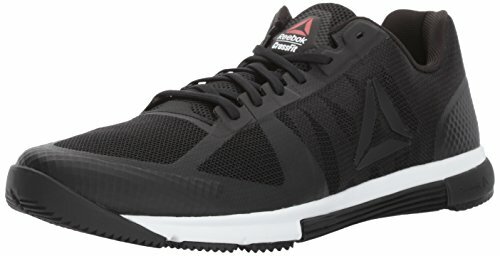 In general, we recommend that people stick with dedicated CrossFit shoes like the Reebok Nano Series, or something like the Nike Metcon. They’re designed to handle a tough workout, and are extremely versatile. At the ends of the spectrum are running shoes, and lifting shoes. Running shoes are not ideal for lifting because they have a very high heel that transfers energy from one stride to the next. This is not what you want when lifting weights. However, lifting shoes have a very low heel height which makes them very stable. However, this doesn’t make them a great choice for running, sprints, or things like box jumps. So, if you’re doing a CrossFit workout heavy on the weights, this is ideal. But, heavy on the sprints? Perhaps reconsider. 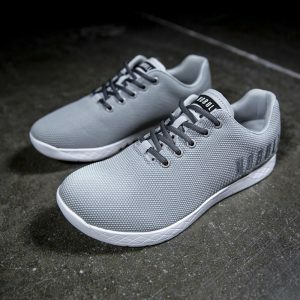 These men’s cross-training shoes from Inov-8 have the power and support you need to complete some of the more advanced weightlifting CrossFit exercises while also being a true cross-trainer. You can easily go from kettle weights and squats to off-road runs. Follow your dream and complete the CrossFit Total Workout, or simply enjoy the higher scores you are now posting in the friendly challenges. With Inov-8 Men’s Fastlift 335 cross-training shoes, nothing can stop you from completing your daily CrossFit WOD. 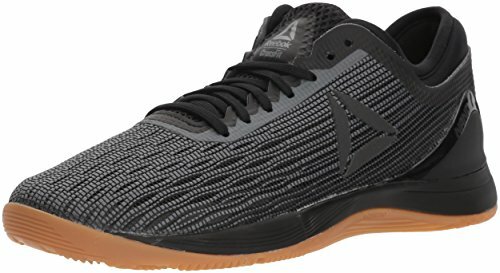 They’re a serious shoe designed primarily for lifting so please keep that in mind! 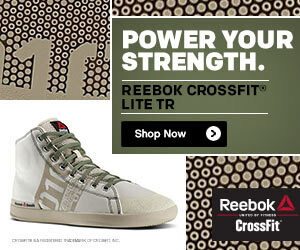 Do they sound like the right pair of weightlifting shoes for you? You can check them out at Inov 8’s website to find the lowest prices. What are your thoughts about this popular weightlifting shoe from Inov-8? Leave a comment below and let us know what you think.